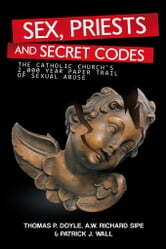 Sexual abuse of minors and vulnerable adults by Catholic clergy burst onto the American scene in 1984. Revelations about such abuse since then have confirmed that this tragedy is not limited to the U.S. Catholic Church, nor is it a new phenomenon that grew out of so-called secularizing trends of the late twentieth century. By reviewing a collection of documents from official and unofficial sources from 60 CE to the present, this book demonstrates that sexual abuse of minors is a deep-seated problem that spans the Church's history. The three distinguished authors have served as experts and consultants in over 1,000 cases of sexual abuse of minors by Catholic clergy, and have collectively spent over 70 years of official service within the church.